Your crude, on-the-wonk Lego fort is good and all, we're sure, but maybe your building efforts are better spent on assured art instead. 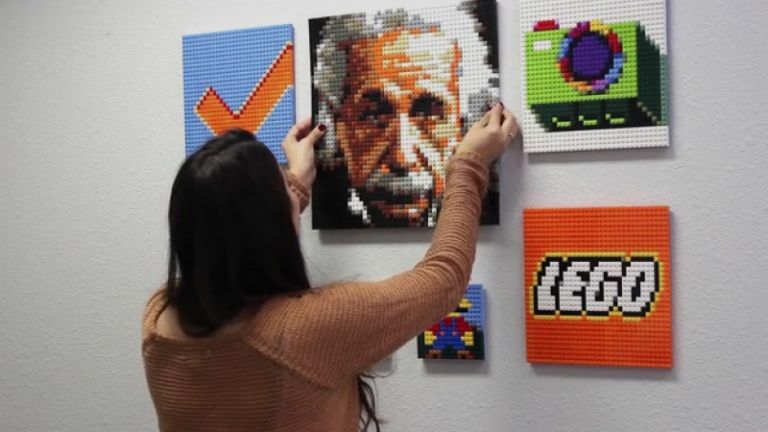 Brick-A-Pic is a start-up that looks to have you piecing together your own wall-art with a bespoke set of Lego bricks. The project, coming courtesy of Kickstarter, sets about converting your favourite snaps into mosaics. Once that's out the way, the Brick-A-Pic team will ship you the corresponding Lego bricks and a handy guide to help you razz out the custom art all by yourself. Brick-A-Pic makes use of the 16 standard Lego brick colours, as well as 29 'retired' colours that they're sourcing from 3rd party re-sellers. While that might sound like a risky business model, Brick-A-Pic promises to purchase 'at least 87,527 bricks' if they meet funding. The team says if they stacked that many bricks one on top of the other it would be the world's tallest skyscraper at a lanky 840m. There's already a website that will convert your images into a virtual mosaic so you can get a taster of the bricktastic fun. Kits will ship in 16x16, 32x32, and 48x48 sizes - the latter requiring 2304 bricks for assembly. The perfect gift for a mortal enemy. Brick-A-Pic's still in the funding phase right now, having racked up just over $10,000 of a $50,000 target with 19 days to go. The smallest 16x16 kit costs $75 plus $30 to deliver outside of the US, so if you want your very own Lego bricksterpiece then you're looking at a price tag of at least £62.